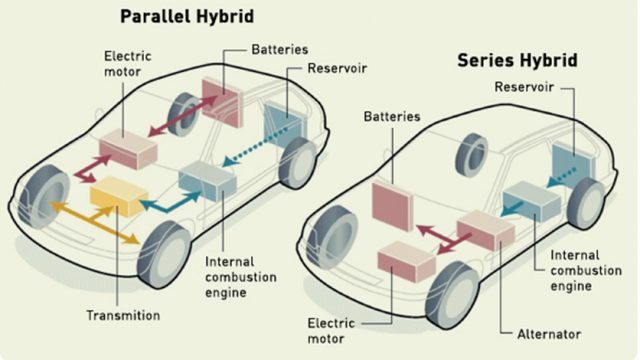 All of us must have heard about hybrid cars and how they use motors to save up on fuel. 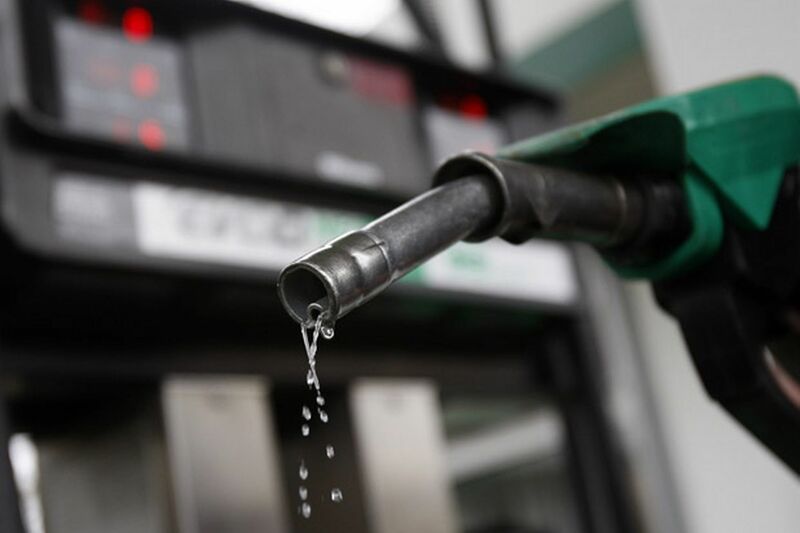 But very few of us know the science behind such arrangement of motors and how it affects a ton of other parameters including efficiency, fuel consumption and price. A drivetrain is the set of all components that assist in the transfer of power from the engine to the wheels of the vehicle. For hybrid vehicles, this drivetrain arrangement is what determines the working of electric motors alongside the internal combustion engine. This is the simplest type of configuration. 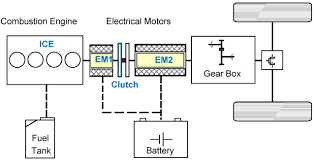 In a series arrangement, the electric motor is the only way of delivering power to the wheels. The motor itself receives its power from battery packs or generators which are run by engines. A computerized system determines how much power has been received. The engine helps in charging the battery/generators. In situations where the car needs to stop and start multiple times, such as that of city traffic (or when stuck in traffic jams), the series arrangement works ideally since the computer can choose to extract all power from the batteries, leaving the engines for when a more dire need arises. This conserves fuel. In such an arrangement, the engine is typically small whereas the battery is bigger since it has to meet required power demands. This bigger battery/generator and motor adds to the cost of a series arrangement; which is much pricier than its parallel counterpart. In a parallel arrangement, the engine and motors work together to drive the wheels. The battery pack is small as compared to the series arrangement and gets usually charged through regenerative braking. In times of need, the engine can be utilized as a generator to charge the batteries. The engine is connected directly to the wheels in the parallel drivetrain. This eradicates the need to convert mechanical power to electrical and back to mechanical power. This inefficiency is reduced considerably. However, the use of a series arrangement in stop and go traffic is still vital. In a combined design, the advantages of both the arrangements are merged into one. The engine can directly operate the wheels (parallel arrangement) as well as can be disconnected to give the operation to the electric motors, as in series arrangement. An example is the Toyota Prius which utilizes this design. This design helps to keep the efficiency at max where the electric only option can be used at low speeds while engine-only option can be used at high speeds; minimising energy losses. This is however costly since it needs large battery packs and generators as well as large engines. It also requires more computation power, but its efficiency is higher than both individual arrangements and accounts for its price.